So are you ready for a huge review? I recently was lucky enough to win a instagram competition by chebella91 which included a MASSIVE selection of products by mixed chicks hair. This is the full new arrivals set by the brand! I have used the morning after foam before, when i got a mini sample of this and i loved it, so i was excited to see that it was in this collection and to try some of the other products included. Thank you again to Cherelle, for the amazing giveaway. 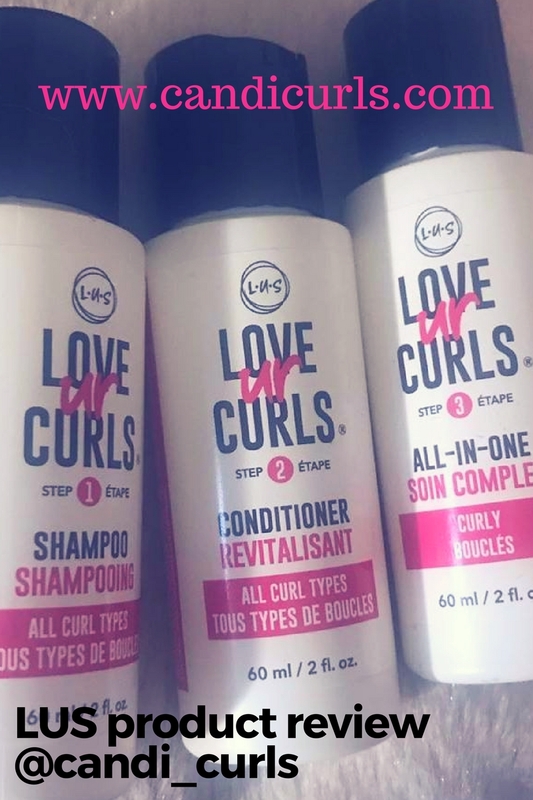 "this fast drying weightless curl creator, provides definition for curly textures, elongates curl, softens and moisturises with pro vitamin B5." Directions: Work a generous portion of mixed chicks throughout wet hair, leave in, air dry, and style as usual. The first thing that surprised me about this product and that i will mention, is the consistency of it. I expected something quite thick and creamy, when instead it is liquid and thin. This means that a little goes a long way and to be careful with how much you pour out. I love the smell of this stuff. Its fresh, clean smelling and this smell lingers in your hair. This is definitely in the top 3 out of the collection. My curls are 100% more defined. I will be buying this product again before i run out, and a video will come soon of me using the full set. "our creamy, no lather cleanser hydrates with olive, jojoba & Castor oils as it gently removes impurities, preserves moisture, restores strength & flexibility for easy detangling." I have had some co-washes and cleansers claim to be "no lather" and do the opposite, but this one does what it says on the bottle. I was a little worried about this because i am not used to it, but the results were amazing. My hair was so easy to manage, soft, and clean. It smells yummy too! I Will be buying this again also and it is possibly my favourite co-wash. I like co-washing sometimes if i have bad product build up, and just before i used this co-wash i was thinking how badly i needed a trim due to straight bits in my hair, but this made my curls spring back to life! "this no flake defining gel holds hair in place, sculpts into any style, helps thicken & adds texture." Directions: Squeeze into palm, rub hands together and work through damp hair. No lies were told on the bottle of this one. I can 100% say that my hair looks thicker and fuller while still having great definition. When i first squeezed this product out i thought i was going to hate it. It was really sticky, and it smells a little like a mans aftershave. However, the results are amazing! This is another one of my top 3 from this brand. I would buy this again for sure. I can see it lasting me a very long time because of how little i use, and it really is non flaky which some brands claim to be, but lie. It does exactly what the bottle says. I am not a gel person there's only maybe 3 that i will use in my hair, and this one just joined the list of trusted hair gels. "Dry hair conditioning cream with avocado, almond & safflower oils to repair split ends & calm frizzies. provides continuous moisture for stronger, healthier finish." I think this is the product i have used the least of. I just felt that it was heavier on my curls and didn't give them as much bounce as the others in the collection. I have very thick hair, and so creamier thicker products, do not do so well with my hair. I don't think i will buy this one, but i think that if you have thinner hair and looser curls, than this would be perfect. I am going to be giving this one to my sister who's hair is that way, and will update you on how she finds it in her hair soon. I always share products that don't work for me with my sister, because every ones hair is different and what works for some doesn't always work for others. Sharing is caring. "the solution for flat, dull next day hangover hair. 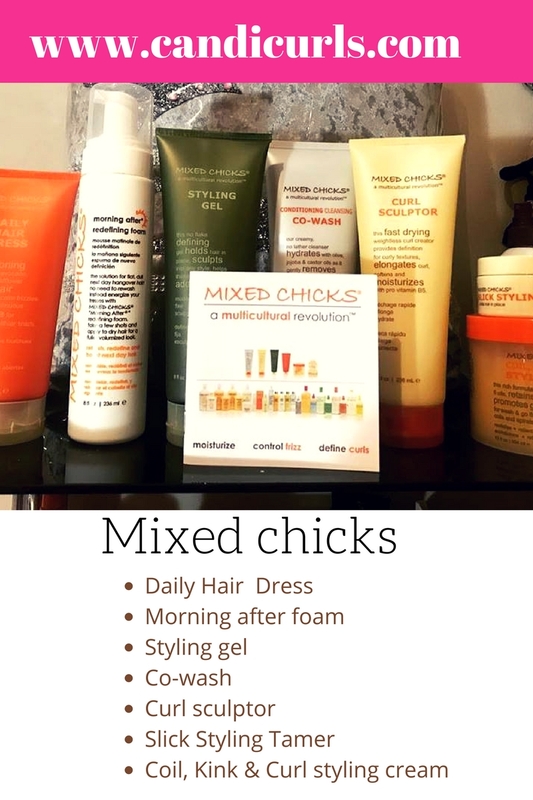 No need to rewash instead energise your tresses with mixed chicks morning after redefining foam. Take a few shots and apply to dry hair for a fuller volumized look." Again no lies were told on this bottle, it does exactly what it promises. I am not into mousse in my hair, but this is the ONLY one that i will make the exception for. I had a mini sample size once, and always planned on getting a full sized if i could find it. I was so excited to find this amongst the collection, and the reason for me entering the competition. Scrunching this into my hair when i wake up and having a fluff of any flat patches were Ive laid, leaves me looking every bit the lion queen. My hair is HUGE and in the best way possible. Its non sticky and my curls are defined even with so much volume. Of course i will be buying this again, and this is in my top 3! "get flexible firm hold for edges on faux hawks, sophisticated buns, up-do's & ponytails." I am still very much learning how to lay my edges. I'm not the best but i try. This gel was very easy to slick them down, didn't flake and stayed down all day. I was actually very happy with the results. Made with Castor oil and coconut oil, it is gentle on this area, which is a plus for me as i suffer from thinning edges. I would possibly buy this again once Ive gotten the hang of the edges thingy. "this rich formula conditions with 6 oils, retains moisture, promotes growth & adds definition for wash & go finger styling, two strand twists, coils and spirals." Directions: Apply evenly to damp detangled hair, use fingers to style curl, two strand twists, bantu knots or any other natural hair styling technique. I wasn't sure what to do with this product at first, thinking that it was specifically for twists etc, but i used it after a wash and go and had amazing results. This is another from the collection that i would purchase. A little goes a long way, and because this product provides hold as well, its important not to over do it. Using these products together on wash day; (I co-washed, then applied the styling cream followed by curl sculptor and styling gel) i was shocked at the results. When my hair was still wet it was just like any other wash day, but when my hair dried (and for the next few days) the difference in my hair was amazing. Before using these i had so many straight bits in my hair that just wouldn't co-operate and it was so obvious i was in need of a trim. Now? My hair has bounced like never before. I was torn at first because my hair appears to look so much shorter than before, but the definition, shape and overall thickness of my hair more than makes up for the ,length i may have lost. I have lost this by shrinkage, because every single hair on my head has bounced back to life! I cant be mad about that right. Even my bangs which were cut in August and had grown out loads, are visible again. My fiance has asked have i had a cheeky salon trip, co-workers commenting on my hair looking "fluffier" and "so bouncy" and so much love on the instagram post! My following soared after sharing my results. I am so glad that i won and got a chance to try these products, and they are my new MUST HAVES! Have you tried this brand yet? Check them out on instagram and on their website by following the links below. Remember to follow my account @candi_curls and keep an eye out for the styling video coming in the new year. Day 5 still going! My curls were refreshed using the morning after foam. Edges laid with the slick styling tamer.